Impression is reflected through the prestigious Rolex Oyster Perpetual Datejust collection presented at Baselworld, Switzerland. Flamboyant appearance with premium materials in terms of legendary, Datejust, revived with a new flavor through the use of 262 diamonds and pink gold set as main mater. Although the bezel and the bracelet looks masculine, feminine yet strong impression remains can be found on the detail contained in the surface of the clock. Instead of numbers, the instructions when presented through 10 diamonds on the hour that can last up to a depth of 100m below the water. Around the Everose gold bezel 12 brilliant-cut diamonds sparkle, elegantly showcased in 18 ct white gold settings. 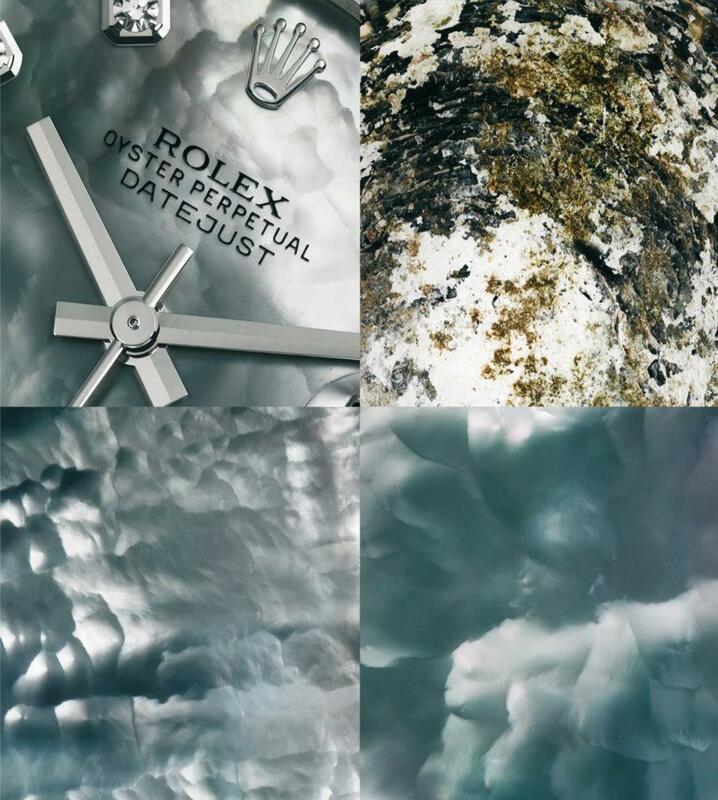 The effect on the Datejust Special Edition is scintillating, exquisite and enchanting. Rolex Datejust Special Edition in yellow gold with a diamond-set bezel, diamond-paved dial and diamond-set Pearlmaster bracelet. Each diamond is carefully checked by Rolex’s in-house gemmology experts according to the four key criteria determining quality: carat, clarity, colour and cut. To preserve the beauty of its pink gold watches, Rolex created an exclusive 18 ct pink gold alloy cast in its own foundry: Everose gold. Both sensual and sophisticated, this metal bracelet with rounded five-piece links was created in 1992 for the launch of the Lady-Datejust Pearlmaster model. Rolex Datejust Special Edition in white gold with a diamond-set bezel, Rhodium Arabesque set with diamonds dial and diamond-set Pearlmaster bracelet. Rolex Datejust Special Edition 34mm, in Everose gold, with a bezel set with 12 brilliant-cut diamonds, a Goldust Dream dial and Pearlmaster bracelet. Mother-of-pearl is a unique material whose mere name evokes purity and refinement. Pink, white, black or yellow, it is a many-faceted natural substance, with reflections that generate an enchanting kaleidoscope of every colour imaginable. Marrying high craftsmanship to the art of timekeeping, the Oyster Perpetual Datejust Special Edition is a sumptuous incarnation of a feminine classic.